Two days ago, I was force to upgrade from Evernote 6.5.4 to 6.13.14.7474(307474) (on Windows 7). I had been sticking with 6.5.4 because I love its "proportional table width" feature(see my link). Now with 6.13, I found a problem that seems impossible to work around as a programmer user: When I copy a block of <pre> content from some webpages(for example) and paste it into an evclip(Evernote clip), the text formatting from <pre> block is all lost. We know that we use <pre> to protect spaces and linebreaks from being tampered, so we expect the code text to remain valid after copy/paste. But with 6.13, it is ruined. 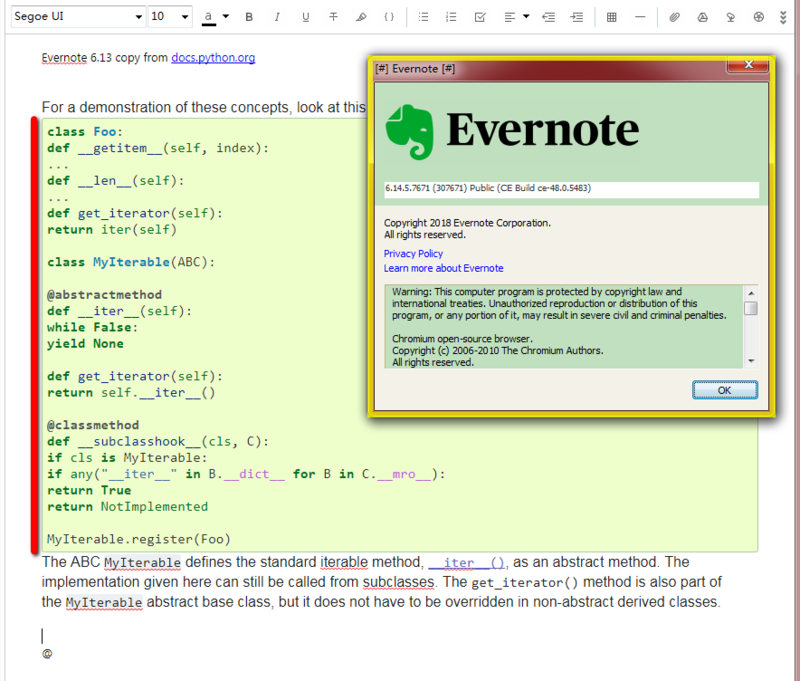 Evernote 6.5.4 does NOT have such problem. I'm also curious whether any Evernote staff/developer has been aware of existence of this problem, and is there plan to fix it? And I have to say, even back in Evernote 6.5.4, copying/pasting a <pre> block from a webpage STILL HAS some flaws. The most prominent one is: Sometimes, some line-breaks get lost so multiple lines get merged into a single line; it just occurs spontaneously with no apparent pattern. I have to line break them manually, a bit annoying but still bearable. For example, it appeared many many times when I copied large chunks of <pre> code from Django Tutorial . [2018-08-14] Well, I realize this space-swallowing behavior does not happen for all <pre> blocks. For some webpages the spaces are preserved as desired, for example, this and this.However, there is still problems with line-break dropping. I felt despairing for 6.13 yesterday because one of my frequently visited internal website happened to run into this problem. [2018-09-17] This is serious, no kidding. Almost every code block copied from docs.python.org (for example) causes space swallowing. And I checked the exported .enex, those space characters are all lost. I mean, it is data lost, not just a display issue. 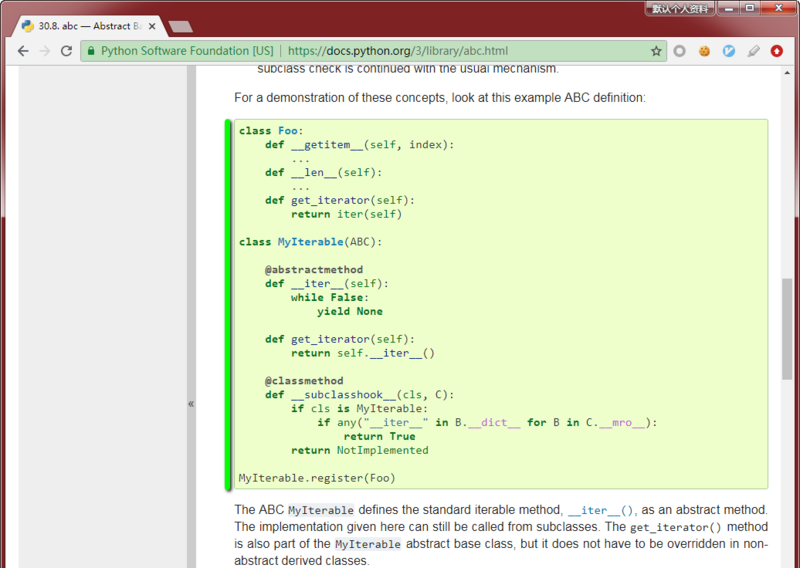 Don't you Evernote developers use Python in your daily work? I've tried the latest Evernote_6.14.5.7671.exe, still the same.